Sexual and reproductive health (SRH) is a hugely important yet neglected area of public health. From access to abortion and contraception to treatment for HIV, SRH services are an essential part of efforts to address inequality. Yet SRH provision has been severely impacted by the NHS restructure precipitated by the 2012 Health and Social Care Act and by subsequent cuts to public spending. 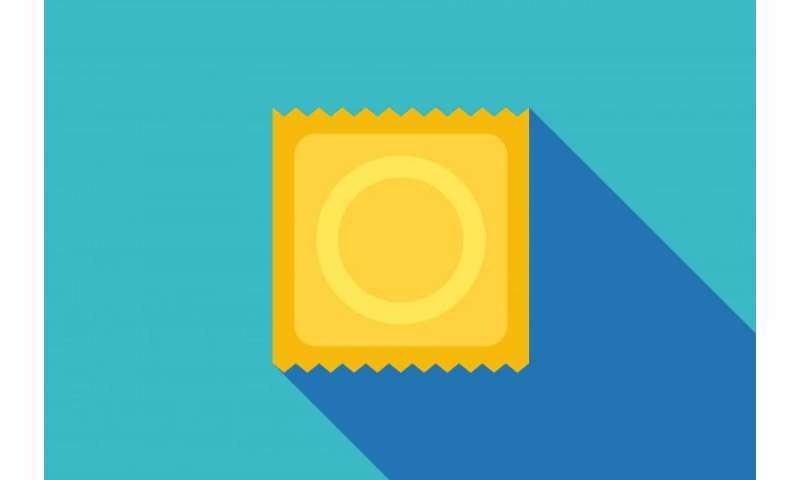 Department of Health guidance on SRH provision is set out in A Framework for Sexual Health Improvement in England, published in 2013. The Framework was published amid widespread uncertainty about what the upcoming reforms to the NHS would mean for SRH services and calls for the government to clarify its approach, while responding to evidence of inequalities in the sector. In particular, campaigners and medical organisations called for a life course approach to SRH which takes into account the ways in which men and women's needs change with age. On paper, there has been a clear attempt to respond to demands of various advocacy groups. But as many equality policy researchers have observed, good intentions on paper often do not result in equality in practice. Indeed, the Framework has come under fire from SRH providers and campaigners for putting forward 'ambitions' without setting in place strategies to achieve them. In spite of the high-flown ambitions found in DH guidance, huge inequalities in service provision and access remain. A 2012 report by the All-Party Parliamentary Group on Sexual and Reproductive Health (APPGSRH) found evidence of some local authorities barring women over the age of 25 from accessing contraceptive services, and sexual health charities suggest that this situation has not improved. There are also regional variations in the coverage of abortion services, with Scottish women facing significant barriers in access, while abortion law in Northern Ireland remains incredibly strict. Many women are not able to access abortion and contraceptive services under one roof, meaning that the quality of the care they receive is compromised. Meanwhile, clinics around the country face the threat of closure due to budget cuts. An example is the proposed closure of the genitourinary medicine clinic at Whipps Cross Hospital, which campaigners say will have a disproportionate impact on black and Asian men living with HIV. While closed clinics usually have their services integrated into a larger clinic at a different site – as is planned for the Whipps Cross clinic – there is often still a negative impact on the community as patients lose access to local services. Some patients may not be willing or able to travel the longer distances now required of them. Particular difficulties exist regarding trans people's access to services. Demand for trans services is booming, yet there are only a handful of gender identity clinics in the UK. Waiting times are astronomical, with some clinics predicting that new patients will have to wait four years for their first appointment. Among all this, race is a cross-cutting issue. Black, Asian and minority ethnic (BAME) communities tend to suffer worse health outcomes than the general population, and sexual health is no exception: BAME communities bear a disproportionate burden of HIV, and BAME people can sometimes face more stigma and greater barriers when accessing sexual health services. This problem is worsened by the closure of clinics servicing local communities. There is also a lack of representation in service provision: for example, BAME trans people might never meet another trans person who shares their background when attending treatment and support groups. Why aren't we delivering adequate services? The government's 'ambitions' regarding SRH provision and related inequalities are hindered, in large part, by fragmentation in commissioning and service provision. Lack of centralised, top-down direction is not necessarily a problem for healthcare, and local networks can be key players in advancing healthcare services. But in this case, fragmentation has been accompanied by a lack of accountability within commissioning structures resulting in gaps in service provision. This was already the case before the Health and Social Care Act 2012 came into force, but has been worsened by the subsequent restructuring of the NHS. The Health and Social Care Act abolished the existing structures responsible for commissioning services and replaced these with new Clinical Commissioning Groups (CCGs), as well as establishing new national bodies. Responsibility for commissioning the various services making up sexual and reproductive healthcare – including abortion services and HIV treatment – is now spread out among CCGs, local authorities and the national commissioning board, although the lion's share of responsibility rests with local authorities. The APPGSRH argues that this has resulted in a further loss of clear lines of accountability, which means that commissioners are not able to work together effectively. These commissioning silos can mean that it is not possible to deliver integrated services under one roof, since abortion and contraceptive services, for example, are commissioned by different bodies. Public Health England, the new executive agency with responsibility for SRH (among other aspects of public health in England), has 'reducing health inequalities' as a key part of its stated mission, but little role in policy formulation. Initial claims that the body would 'speak truth to power' appear to have been forgotten, and it has so far shown an unwillingness to challenge government policy. This has all been compounded by the politics of austerity and in particular by cuts to local government budgets. Since November 2015, local authorities' public health budgets have been separated from the budget for NHS England. This means that they are not protected from the latter's budget ring-fencing, and public health spending has dramatically fallen as a result. While local authorities receive their own ring-fenced grants for public health, there is evidence that these are being diverted towards threatened services in other areas. Austerity has promoted unequal health outcomes directly, as clinics and services close or relocate as a result of budget cuts. Some contracting models appear to prioritise cost efficiency over quality, further compromising the services on offer. Cuts to SRH services are a false economy – they result in drastically increased spending due to unintended pregnancies and STI infections. We should be more concerned, however, with the adverse impact of cuts on disadvantaged communities. While Theresa May has expressed an interest in social justice, it remains to be seen whether she will address the trends set in motion under her predecessor.